Sharing our harvest with the squirrels: Sometimes we can contribute more than we think we can. In my first post in May, I reported on planting seeds in my garden despite a forecast of chilly, rainy weather. As the summer progressed, my early spring optimism paid off — mostly. The salad greens, cucumbers and cherry tomatoes are abundant. But the radishes were all tops and no roots, and the basil succumbed to a vicious fungus. And then there’s the squash. I’m trying to be zen about the squash . . . and the rabbits and squirrels. 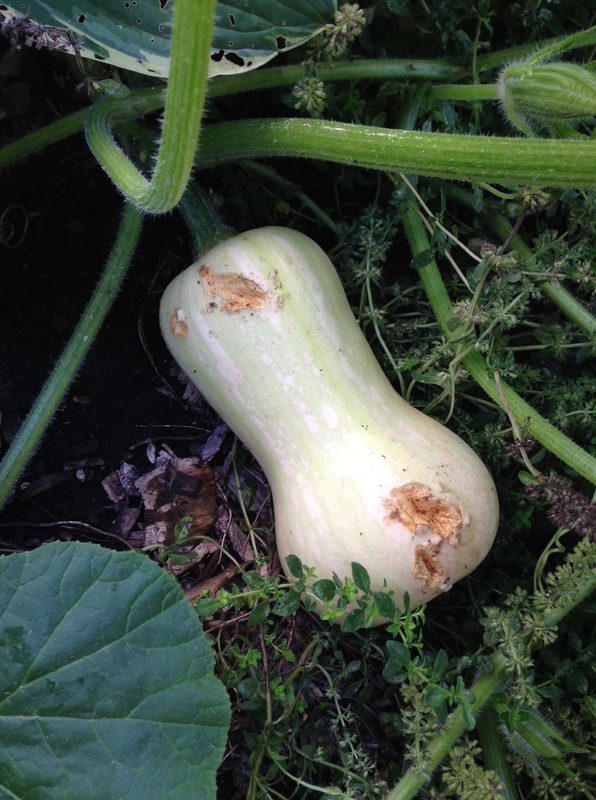 Admittedly, part of me is just plain irritated that the rabbits ate off dozens of blossoms before they could set fruits, and that the squirrels have gnawed into nearly every butternut squash that did manage to grow. But maybe those rabbits and squirrels need those squash more than I do. And maybe there’s a larger lesson here about need, abundance, choices and charitable giving. How and how much we choose to give can be life-changing — for the giver and receiver. Twin Cities-based Nathan Dungan advises families to connect their values with their financial choices. His Share Save Spend® model puts giving at the top of the list. Yes, that’s right, he promotes sharing first, saving second. and spending less (on things we probably don’t need anyway). A similar philosophy is promoted by Anne and Christopher Ellinger, founders of New York-based Bolder Giving. This organization challenges individuals to make “quantum leaps” in their giving levels and to be fully engaged in their personal philanthropy. They also encourage individuals to tell their personal giving stories as inspiration for others. On an even larger scale, the Giving While Living movement of The Atlantic Philanthropies advocates distributing our wealth during our lifetimes — instead of establishing foundations in perpetuity. Billionaire founder Chuck Feeney and like-minded philanthropists believe in addressing urgent needs and creating sustainable solutions to today’s problems right now. They are confident that future generations will create their own wealth that can be used to solve tomorrow’s problems. I think these charitable advisors and philanthropists — and gardeners, too — are eternal optimists at heart. They believe in abundance and that their efforts large and small will yield positive results. So, help me choose gladly to share my harvest with the squirrels. I probably have more than I need anyway, and we all need nourishment to make it through the winter and thrive again next spring.